The world’s largest innovation management consulting competition – the IXL Innovation Olympics – is launching its 4th cycle this year combining outstanding client companies and over 200 students from some of the best universities worldwide. – A global energy company with over 80 000 employees across more than 70 countries. – A global leader in the label and tag space for apparel and other industries. – A global non-profit standard certification board for innovation and innovation management. – A public university system, based on a coeducational research model. – A prestigious Italian car design firm. – A Brazilian clothing company, operating 180 stores and exporting to more than 18 countries worldwide. – A leading Brazilian manufacturer of electrical wires and cables. Please contact yan.yu@ixl-center.net, if you would like your company to explore new growth opportunities. 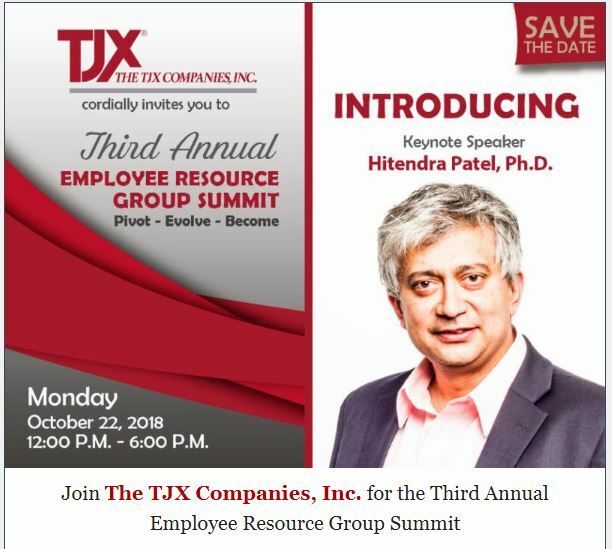 Dr. Hitendra Patel will be the keynote speaker at the TJX ERG Summit which features chief executive officers from companies in the Greater Boston and New England areas. Learn how industry professionals pivot their vision, evolve their missions, and become global leaders through innovative Employee Resource Group practices. The EPIC Innovation Program aims to forge a new generation of global leaders by connecting them to the world’s innovation and education centers through a tailored and unique program that blends world-class learning and networking opportunities, benchmarking and cultural experience. 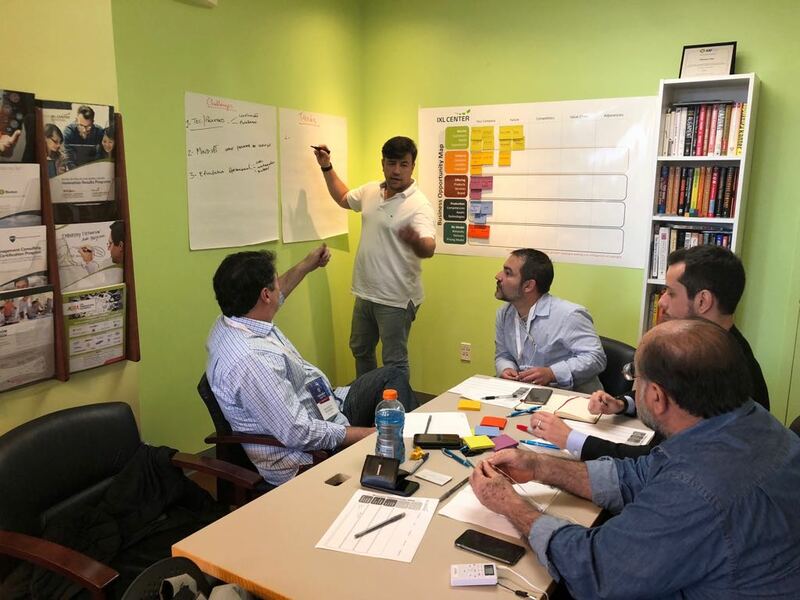 In early September, a group of C-level executives from Brazil, Peru and Colombia, (followed by 30 students from the Monterrey Institute of Technology) had visited and participated in lectures at the Massachusetts Institute of Technology, CIC Cambridge, the Verizon Innovation Center, and FH Cann & Associates, Inc. where they learned about innovative business models and the latest in business solutions, including digital transformation and innovation 4.0. 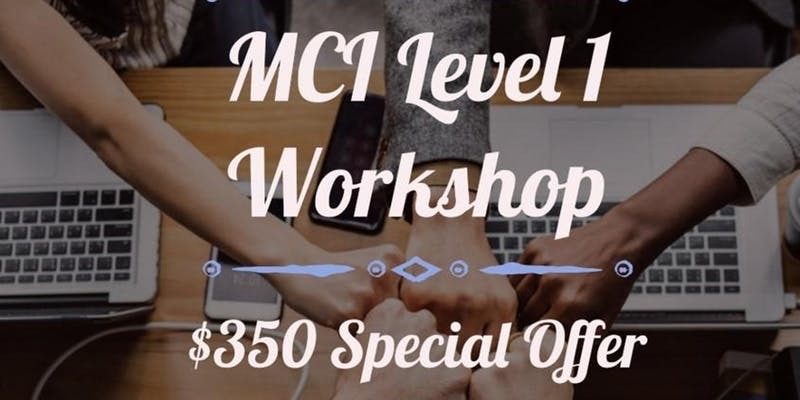 The Management Consulting Institute (MCI) is offering an exclusive opportunity to attend its management consulting training with a significant discount: $372.94 per person for training and certification (regular price for MCI certification alone is $500). We have a limited number of seats, so if you are interested, please reserve your seat now. Also, if you register by October 11th with a coupon code DISCOUNT50, you will receive additional $50 off. Boston Innovation Gateway (BIG), a business unit of the international consulting firm IXL CENTER, is currently seeking an administrative intern for a part-time position at the Miami, FL office. The intern will provide support with administrative, sales and marketing, basic finance, HR, and IT support-related functions. BIG is searching for candidates that are able to move quickly in a fast-paced, startup environment. The candidate must be living in or willing to relocate to Miami. How do you involve all units within your organization and partners & networks to assist with driving innovation from idea to market? How Do You Find the Big Bold Ideas that Matter in the Market and to My Company? : The Need for Focus?